Newstartsearch.com is the PUP that uses misleading techniques to prevent removal. Use Reimage to locate malicious components and get rid of them faster than with uninstall instructions. A full system scan blocks virus reappearance and prevents traffic to malicious domains. Newstartsearch.com is a questionable search engine created by Hopebest Inc. This tools is promoted in software packages and might become browser’s homepage without asking direct user’s permission. However, it’s only one reason why it is classified as a browser hijacker. 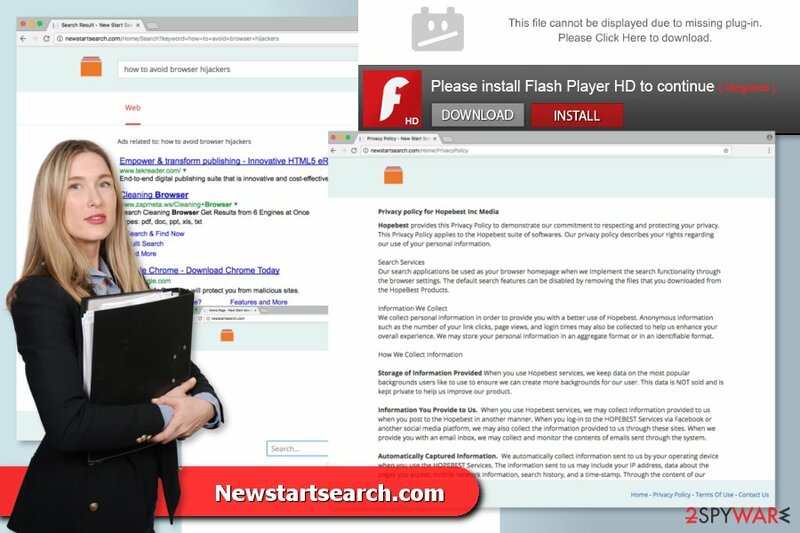 The Newstartsearch.com virus is designed to take control over Google Chrome, Mozilla Firefox, Internet Explorer, and other popular browsers. In order to do that, after the infiltration, it might make modifications to the system. The PUP is created in a way that users cannot get rid of it simply. The hijacker wants to stay as long as possible on the attacked web browser in order to provide users commercial content. Authors of the Newstartsearch.com profit from online advertising. Thus, you can expect to see sponsored links at the top of the search results page and each visited website. When users click on commercial content, developers generate revenue. Although such business model is legitimate, you should not help authors of this free search engine to profit from your clicks because of suspicious Newstartsearch.com redirect tendencies. According to the research, some commercial content redirects to potentially dangerous websites where you can be involved in cyber crime. Apart from providing suspicious third-party content, this program is also suspected to be capable of altering search results. It seems that some of the sponsored links might be hidden among search results and presented as an organic link. Thus, searching for useful information might become an annoying and complicated task. Therefore, if you value your privacy, you should follow the instructions below and get rid of the hijacker immediately. However, we suggest opting for easier elimination option and scan the PC with Reimage. 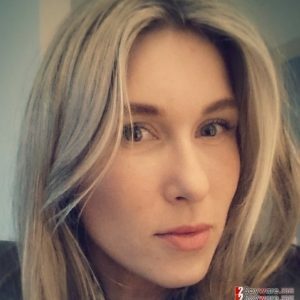 Automatic Newstartsearch.com removal assures 100% success and saves your time. Newstartsearch.com virus aims at web browsers and alters their settings in order to generate revenue for the developers. This potentially unwanted application has been spotted spreading as an optional component in software packages. It seems that it’s the only distribution method because you cannot find “download” or “install” link in the main page. Creators of the PUPs take advantage of users bad habits. Undesired applications are hidden under “Quick” or “Recommended” settings. Although they do not openly disclose about third-party software; they are still popular among computer users. Our colleagues from FaraVirus reminds that rushing with software installation might lead to bigger problems than the infiltration of PUPs. You might also agree to install malicious programs. Thus, you should get rid of your bad habit and learn to install software correctly. In order to avoid Newstartsearch.com hijack, you should install new software using “Quick” or “Recommended” settings. One of the steps might show the list of optional downloads. Usually, they are pre-selected, so your task is to unmark them. It’s the only way to stop all undesired apps from getting inside your PC. There are two methods how you can remove newstartsearch.com. One of them suggests doing it on your own. However, if you chose manual elimination option, you should take our offered help and use the instructions provided below. We want to point out that manual removal requires looking up for suspicious programs and browser extensions. If you leave some of the virus-related components, your browser might be re-hijacked, or your activities online might be still tracked. If you want to avoid failure and be confident that Newstartsearch.com removal was successful, we suggest opting for the second elimination option. Automatic removal requires scanning the system with anti-malware/anti-spyware tool. 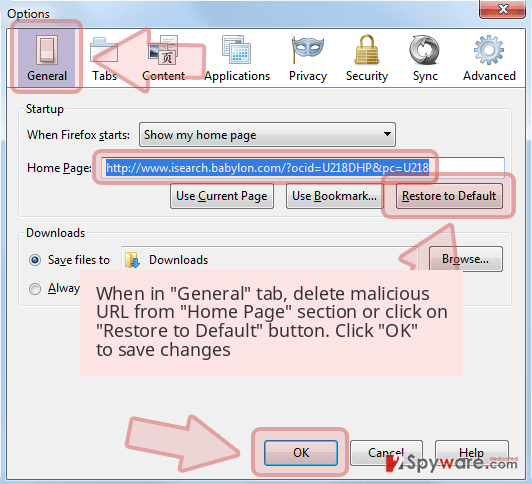 Check the list of installed programs in Control Panel and remove entries that might be related to Newstartsearch.com browser hijacker. Here, look for Newstartsearch.com or any other recently installed suspicious programs. If you found Newstartsearch.com set as your default search engine, you should look up for suspicious applications installed on your device. Wait until you see Applications folder and look for Newstartsearch.com or any other suspicious programs on it. Now right click on every of such entries and select Move to Trash. When in the new window, check Delete personal settings and select Reset again to complete Newstartsearch.com removal. 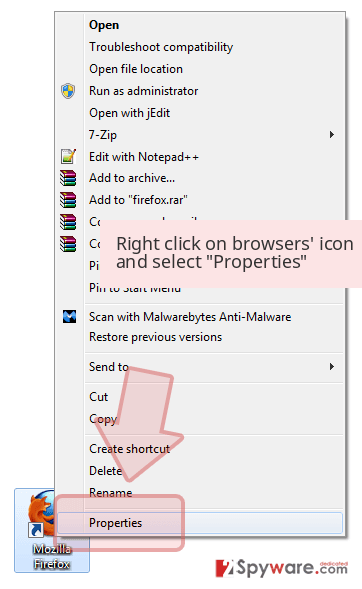 Follow these steps to clean Microsoft Edge and get rid of the hijacker. Once these steps are finished, Newstartsearch.com should be removed from your Microsoft Edge browser. 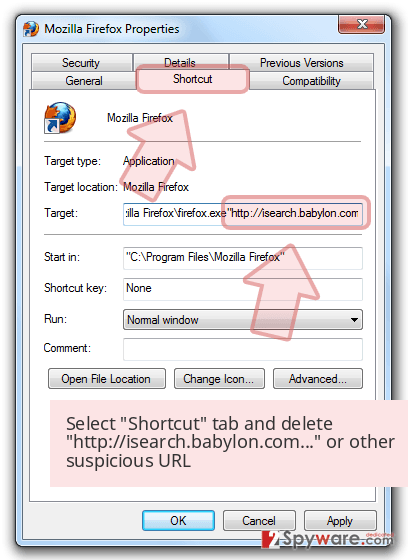 Make sure that any suspicious extensions or add-ons haven't been installed to Firefox and reset the browser. Here, select Newstartsearch.com and other questionable plugins. Click Remove to delete these entries. Now you will see Reset Firefox to its default state message with Reset Firefox button. Click this button for several times and complete Newstartsearch.com removal. Open the list of Chrome's extensions and uninstall suspicious entries. 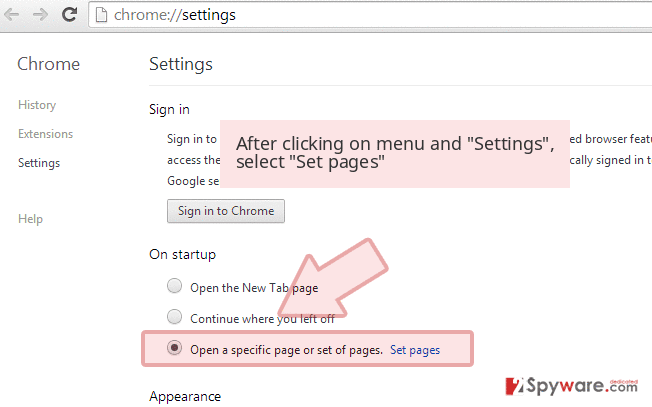 In order to get rid of tracking cookies and other components, you need to rest the browser as well. Once it's done, you will be able to replace Newstartsearch.com with a reputable search engine. Here, select Newstartsearch.com and other malicious plugins and select trash icon to delete these entries. Click Reset to confirm this action and complete Newstartsearch.com removal. 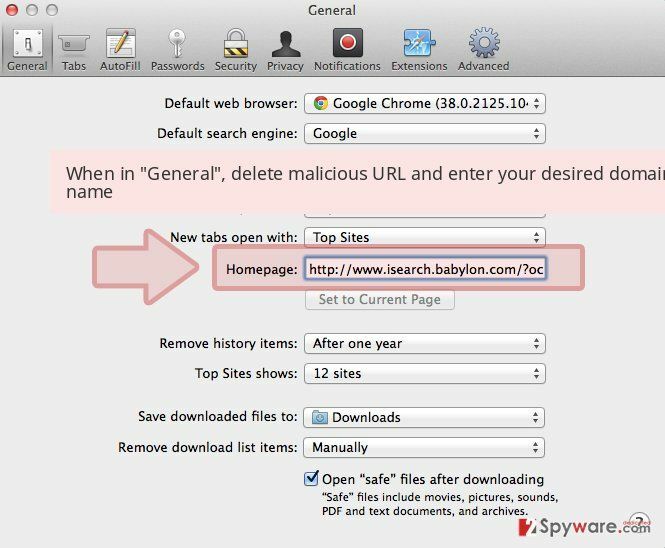 These instructions will help you to get rid of the hijacker and reset Safari settings. 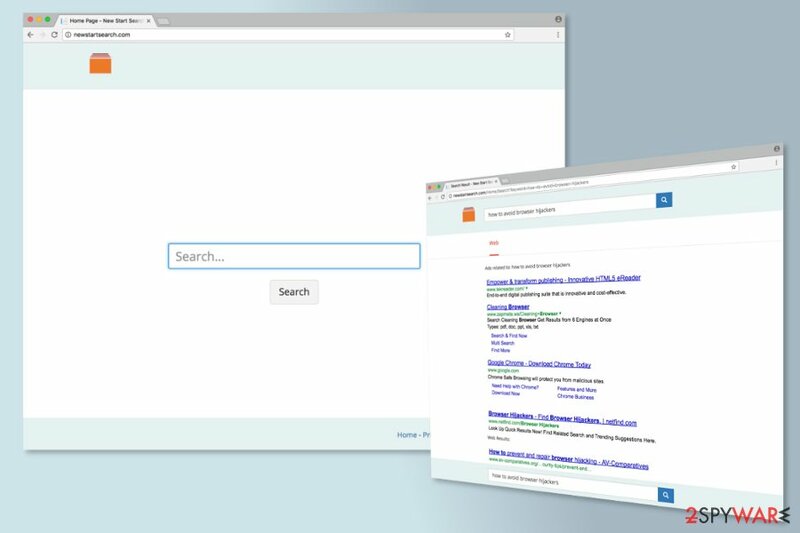 Here, select Extensions and look for Newstartsearch.com or other suspicious entries. Click on the Uninstall button to get rid each of them. Here, look at the Homepage field. If it was altered by Newstartsearch.com, remove unwanted link and enter the one that you want to use for your searches. Remember to include the "http://" before typing in the address of the page. Now you will see a detailed dialog window filled with reset options. All of those options are usually checked, but you can specify which of them you want to reset. Click the Reset button to complete Newstartsearch.com removal process. ^ Non-Personally Identifiable Information. Mobile Marketing Association. The official website of Mobile Marketing Association (MMA). ^ FaraVirus. FaraVirus. Romanian website about computer viruses and their removal. ^ Malicious programs. Securelist. Information about Viruses, Hackers and Spam. This entry was posted on 2017-07-18 at 02:24 and is filed under Stealing programs, Viruses. You can quickly scan the QR code with your mobile device and have Newstartsearch.com virus manual removal instructions right in your pocket. How did you remove Newstartsearch.com virus?